International representatives on Monday praised China for its pursuit of the 21st Century Maritime Silk Road, which facilitates investment in island countries, while building networks between these distinctive economies. At the ongoing Boao Forum for Asia Annual Conference 2018 held in South China's Hainan Province, representatives from countries and regions along the Maritime Silk Road recognized that the Road would improve connectivity and bring huge opportunities. "In the modern computer age, trade and investment benefit much from software - which is trade and investment … But aside from the software, we also need hardware and that is the Belt and Road [B&R] initiative, which provides infrastructure needed for trade and investment," former Philippine president Gloria Macapagal Arroyo told the Global Times on Monday. Larry Chan, president of Liwayway (China) Co, whose headquarters is in the Philippines, told the Global Times that construction of infrastructure in the Philippines had helped reduce costs, increased his company's efficiency and competitiveness and had been key to overcoming physical obstacles, especially in the transportation of fresh products. The Maritime Silk Road connects Thailand with the rest of the world, said Vira Rojpojchanarat, Thailand's Minister of Culture, at a session of Boao Forum on Monday. "By connecting with our country's Eastern Economic Corridor, the China-proposed Silk Road Economic Belt and Maritime Silk Road link tens of million of people in Thailand through infrastructure projects like railways and airports," Rojpojchanarat said. John Aquilina, Ambassador of Malta to China, said at the same session that limited resources encumber Malta's economic growth but the B&R initiative offers a solution. "A good example is Shanghai Electric Power's potential acquisition of a 30 percent stake in Malta Resource Co. By shifting an old resource public utility into a modernized one, our major resource will be natural gas instead of diesel in the future, and thus our environment will be greatly improved," he said. Island countries' weaknesses - simple industries, relatively small domestic markets and fragile environments - require these countries to forge a community of share future, Chi Fulin, president of the China Institute for Reform and Development, said at the same session. 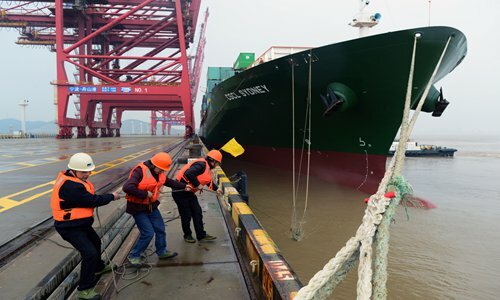 How to improve connectivity and industrial cooperation while enlarging island economies' market is crucial at this time, Chi said. "We can jointly establish a pan- South China Sea tourism cooperation circle. If a breakthrough is made, it will greatly benefit the construction of the Maritime Silk Road," Chi said. Given island economies' reliance on trade and investment, free flow of goods and capital helps release these economies' growth potential, Chen Xiaodong, China's assistant foreign minister, said at the same session. Apart from free trade agreements with countries including Maldives, New Zealand and Singapore, China seeks free trade arrangements with more economies to build open global economy, he said. As for free trade, Chi said on Monday that Hainan is very likely to launch significant measures to facilitate the opening-up of the services sector. "With its important location along the Maritime Silk Road, Hainan is expected to launch new measures for all-round opening-up in 2018, with focus on the services sector," he said, noting that Hainan plans to play a bigger role in the South China Sea region. One of Hainan's biggest firms HNA Group, will vigorously support construction of an international tourism island and a pan-South China Sea economic zone with direct flights linking countries and regions along the Maritime Silk Road. HNA will help transform Hainan into a hub of the Maritime Silk Road with air routes connecting Hainan with ASEAN, the US, Australia and some EU countries, read a statement the firm sent to the Global Times.